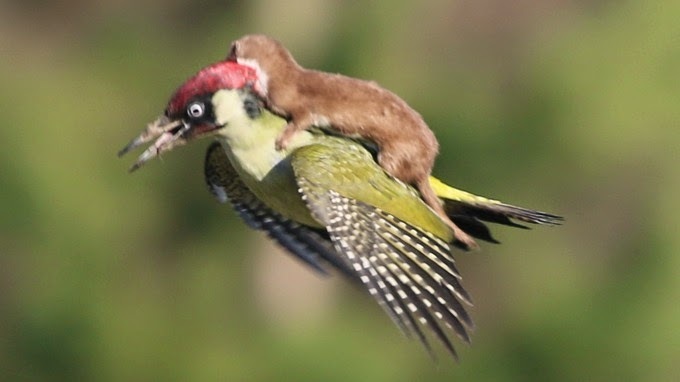 A remarkable photo has captured a weasel on a woodpecker's back as the bird flies through the air. 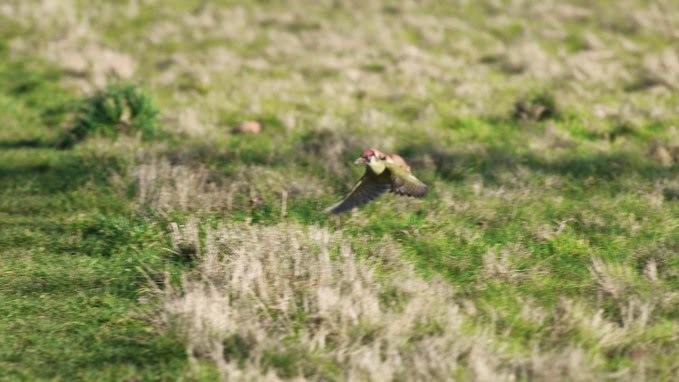 The photographer, Martin Le-May from Essex, said he "feared the worst" for the green bird after hearing "distressed squawking" during its struggle with the mammal at Hornchurch Country Park. 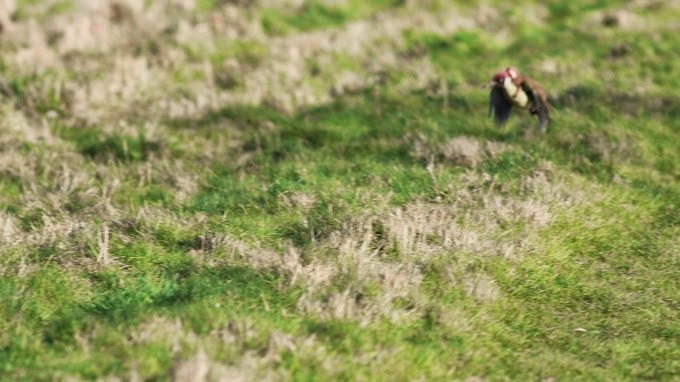 After Le-May managed to capture the incredible image - which has become a hit on Twitter since it was taken earlier today - the creature managed to escape with its life.